On May 1, 2011, two MH-60 Black Hawk helicopters stealthily flew in the cover of darkness into Pakistani airspace. These were no ordinary helicopters, and neither were their pilots nor the passengers riding along inside. They were American Navy SEALs and support personnel. And one of the things they all had in common is that they were all wearing night vision goggles. That mission involved the Army’s 160th Special Operations Aviation Regiment and 23 SEALs from the Naval Special Warfare Development Group, known as DEVGRU and better known as SEAL Team 6. They successfully found and killed Osama bin Laden. Like many military special operations missions, law enforcement tactical operations often take place at night. That means all SWAT operators can benefit from having tools that will help them see better in the dark, including image intensification night vision systems and thermal vision infrared devices. The value of such tools in police and military operations has been proven again and again for decades. Night vision is used in a variety of domestic law enforcement operations including aviation. For example, law enforcement pilots flying both fixed-wing aircraft and helicopters for a variety of federal agencies, including the DEA, the Border Patrol, and the FBI's storied Hostage Rescue Team (HRT) commonly fly with night vision. Local law enforcement is another story all together. While the majority of big city SWAT teams have night vision tools, many smaller agencies don't have the budget necessary to acquire such equipment. However, the cost of night vision and thermal is decreasing with more new technological innovations and increased sales. Which means night vision and thermal imaging tools are becoming more readily available. The trick is choosing the right tools for your agency. Image intensification night vision equipment is mission specific. So when a department is thinking about adding this equipment into its inventory, the questions that must be answered are: How will the equipment be used and who is going to use it? Basically, night vision devices boil down to three primary types: viewers, weapons sights, and goggles. Viewers. These are similar to standard optical spotting scopes only they work great at night. 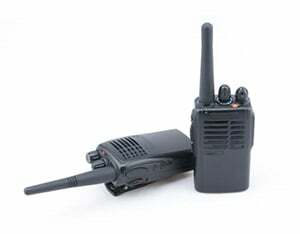 They can be used for surveillance, to help identify and prevent possible attacks, and to help you locate the best approach to a location. Night Vision Weapon Sights. This is a tool for the designated sniper and/or spotter. Since both sniper and spotter do a lot of mandatory intelligence gathering, so it seems logical that at least one sniper or spotter in a team operating in low light would be outfitted with a night vision scope. Night Vision Goggles (NVG). These are usually worn on the heads of tactical officers and attached with a head harness or helmet mount. In an urban environment, you may not need a goggle for every team member. Five-officer entry teams have accomplished their missions with as few as two devices. When allocating NVGs your priority is entry team members number one and number three. Here's why: As the number one officer makes entry, generally the number two officer throws a flash-bang, and the number three officer flows in afterward. This is the way it's done by a lot of teams, and it shows why the number one and three officers in the stack have the greatest need for NVG. They are going to be the first officers into what is likely to be a darkened room. 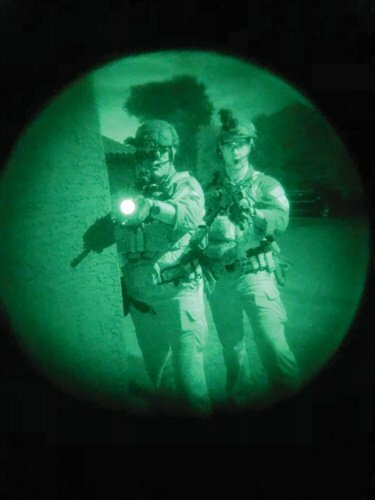 When performing night operations in areas with rough terrain where an officer can stumble over such hazards as rocks, fallen trees, and other ground clutter, night vision can be a critical safety tool. That environment calls for as many team members as possible to have NVG. 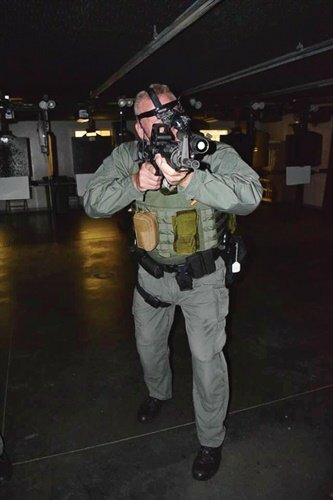 While writing this article, I was honored to spend some time with units from two law enforcement agencies that have great need for night vision on the job. I'm talking about the Florida Fish and Wildlife Conservation Commission and the U.S. Border Patrol. Recently the Special Operations Group (SOG) of the Florida Fish and Wildlife Conservation Commission started working with new night vision devices. One of the leaders told me that these devices are a must for the unit. 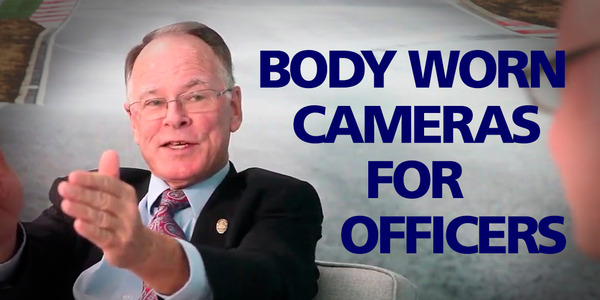 "We are in the middle of the Florida swamps looking for illegal poachers, drug smugglers, or someone who is just deeply lost in the Everglades," the leader said. The inherent dangers they face in the swamps, both human and animal, are very real for SOG. The people they are looking for are often heavily armed with rifles, and the swamps are home to alligators and several species of venomous snakes, including rattlesnakes, coral snakes, copperheads, and water moccasins. Night vision is very important for the safety of these officers. The U.S. Border Patrol's working environment on the Southwest border is about as different from the Florida swamps as could be. 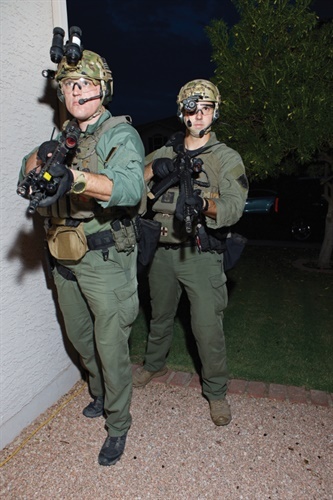 But like their fellow law enforcement professionals in Florida, Border Patrol officers in southern Arizona have a great need for night vision. One agent explained the danger they face in the Arizona desert. He told me if they see a suspected illegal immigrant crossing the border there is nothing they can do about it as back-up is about an hour away, and the coyotes (human traffickers) are heavily armed. Shockingly, the majority of border agents have outdated night vision equipment or none at all. The agent went on to explain that in the Border Patrol it’s a first come first get when it comes to equipment. 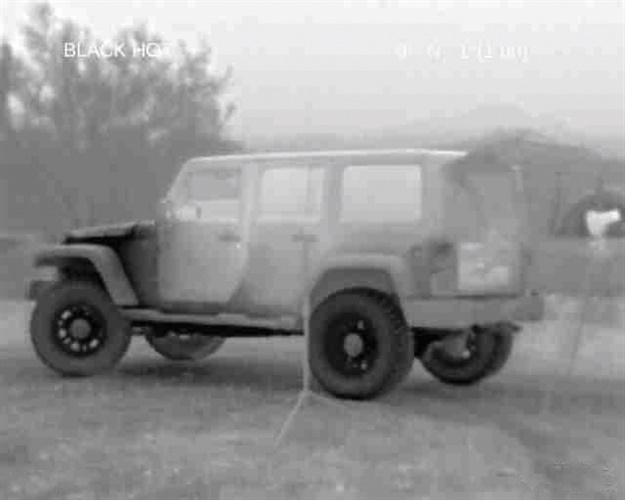 Infrared thermal cameras and viewers can be used as a type of night vision device, but they work very differently from image intensification systems. While image intensification systems such as the ubiquitous AN/PVS-14 intensify available light in the environment to give the user night vision, thermal devices measure the heat radiating from a person, animal, or object and convert that heat into an image of the "target." While researching this article, I was privileged to have FLIR's Breach PTQ136 multifunctional thermal imaging monocular at my disposal. I have spent many years using night vision, and it was rather interesting to use this very compact handheld thermal. Weighing only 7.4 ounces, the FLIR Breach (www.flir.com) can be concealed in a pocket or mounted to a helmet via its mini- rail feature. The Breach has an internal memory and can record up to 1,000 images and 2.5 hours of video in day or night conditions. It also features advanced image processing and a bright high-definition display for enhanced image clarity. 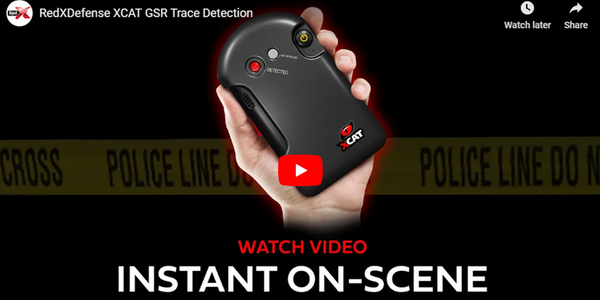 This is a great tool for law enforcement operations. Both night vision and thermal systems have a role in police work. To discuss which is best for what application, I went to my local subject matter expert, Lt. Glenn Hamann of the Titusville (FL) Police Department who also happens to be the SWAT team commander. Hamann says both tools are extremely beneficial for small unit tactical missions, especially for threat detection and ambush prevention. Law enforcement administrators will have to decide whether night vision or thermal or both is best for their mission. The good news is that costs are coming down on this equipment. Another point to consider is that not every unit needs top-of-the-line night vision gear. You can save money by matching the gear to the light conditions where your team operates. Generation 3 gear is critical in extremely dark conditions, less so where there is a lot of ambient light. 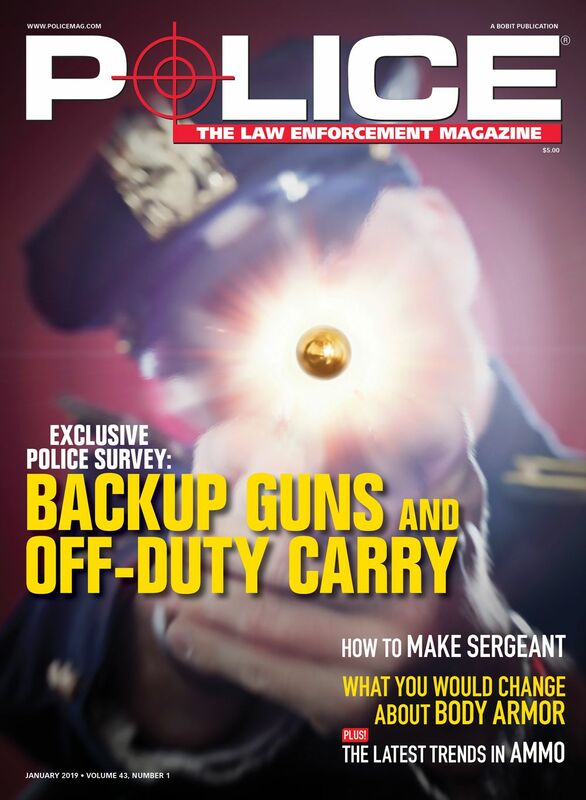 Paul Pawela is the director of law enforcement training for the National Association of Chiefs of Police (www.nacoponline.org). He is a nationally recognized expert in firearms and defensive tactics and has been awarded the John Edgar Hoover Memorial Gold Medal for distinguished public service.